It's Event 3 of my 1000 followers Giveaway!!! 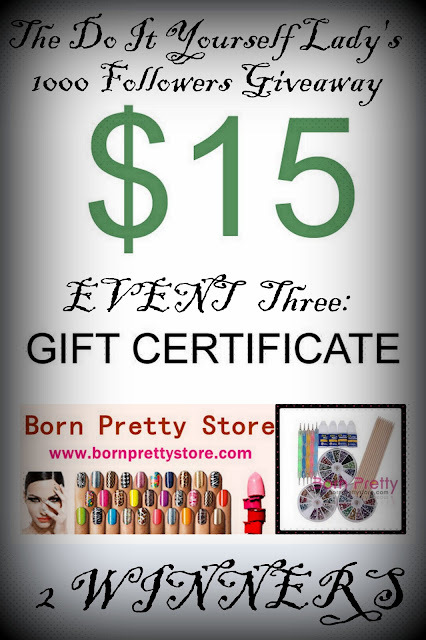 For this event, TWO Lucky People will get to each win $15 Certificate for Born Pretty Store, the online nail art store. 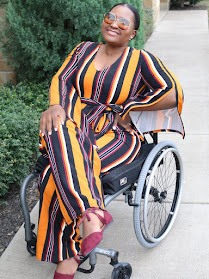 If you've been my fan long, you'll know that I have reviewed some pretty amazing products I got from BPS. Failure to contact me/reply my message after 24 hours of being notified of your winning, will result into another winner being randomly picked. This Giveaway is open INTERNATIONALLY (Because BPS ships Internationally) and ENDS AUGUST 8th 2012. That's it for now. Thanks and God Bless. One of these Gift Certificate was provided by BPS for the purpose of this giveaway. The other was purchased by me. You are spoiling us! Lol I love it, thanks for all the contests! Hi, great!! There are so many giveaways around!!!! Joined.... Congratulations on having 1000+ followers... I hope my blog would make it too one day.